La Maison Jolie: 4 Ways to Make Your Bed Magazine Worthy! Your bedroom is the most intimate room of your home and it is important to style it in a way that engages and also relaxes your senses. The bed is undoubtedly one of the most important and biggest pieces of furniture in your bedroom. A beautifully made bed with soft dreamy linen, perfectly stacked pillows and a warm and comfortable duvet is not only inviting but also important for a good night's rest. However, creating the perfect bed depends on your personal style unique to your lifestyle choices. You may love a bed that’s bohemian chic with lots of paisley prints and textured animal throws or you may prefer a softer, country look with lots of white, trimmings and pastels. Or the currently popular Scandinavian style with a minimalist approach of cool whites and soft greys with pops of colour and layers of natural texture. Or what about an eclectic contemporary bedroom with a bold colour palette with lots of cushions and colourful throws that creates interest and looks cosy and inviting? Whatever your preference, there are certain trade secrets to making your bed look like it fell off the pages of a magazine. In this article, Manchester Madness, a premium bed & bath retailer, spills their top four industry secrets to making a bed camera ready. And if you've ever wondered how you can make your own bed worthy of the bespoke plush style you love in design magazines, then read on! A beautiful bed depends generally on the style and colour palette of the room. Colour creates a sense of unity in a room and ties your furniture selection, linen and accessories together to create a dreamy space. Think about whether you want your bedroom to be dark and moody, or dressed in pretty pastels, minimalist and monochromatic or full of bold, primary colours. This will help you pick a colour and style that fits perfectly with your room. 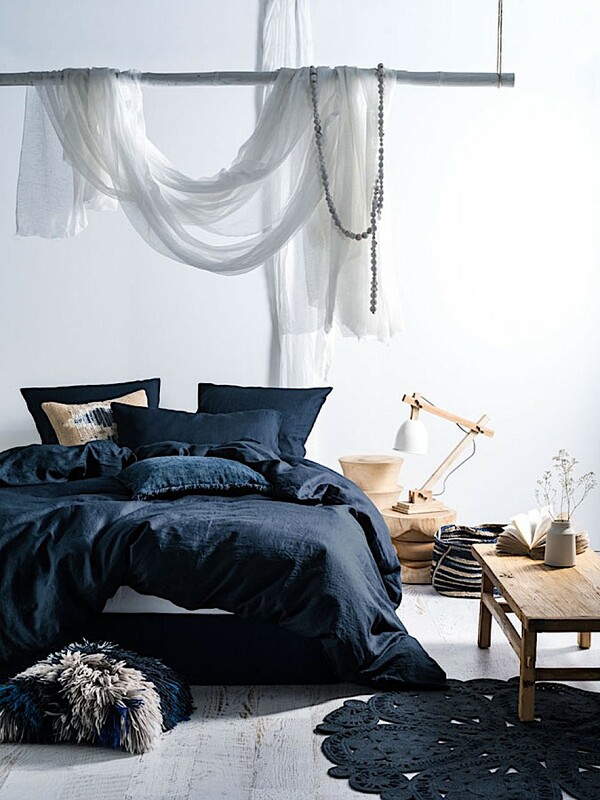 Bed linen is a great way to dial up the style factor in your bedroom. You can choose to introduce colour with patterned bed linen or pare back the colour palette with pristine white or pastel shades. 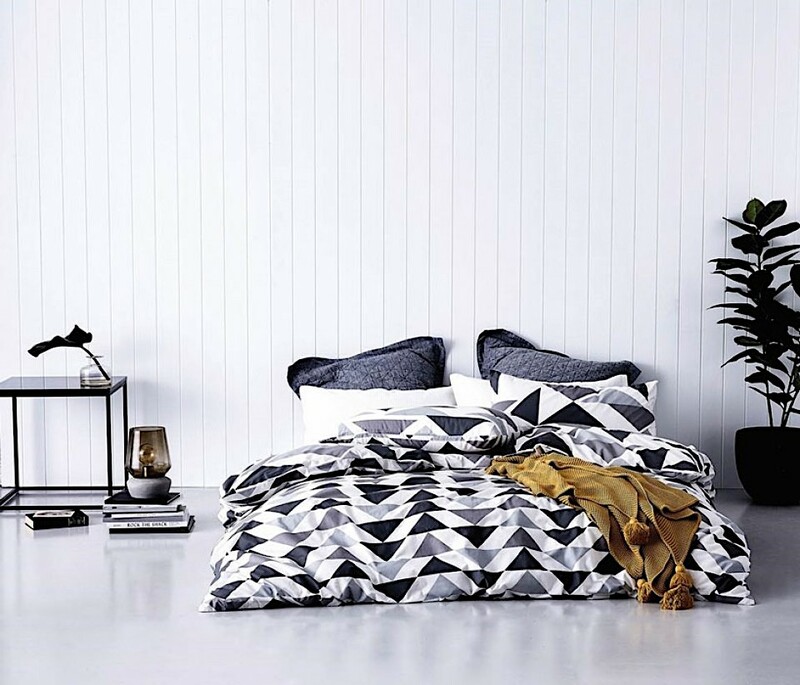 For example, if your bedroom is spatially tight, you might prefer an achromatic theme with a white quilt cover set such as the Collette Dinnigan Sorento Blue Quilt Cover Set to create the illusion of space. Or you might prefer a natural earthy colour palette in the bedroom and choose to make the bed the focal point by using a bedspread that has an edgy striking pattern punctuated with accent colours. On the other hand, if your bedroom has a bold feature wall, choosing a quilt colour that’s softer and sophisticated will help you create a harmonious space. Or if your bedroom looks dull and lifeless and needs a splash of colour, the Linen House Hotel Collection Quilt Cover in Navy is a timeless choice to dial up the style quotient. In the end, the bedroom needs to be a relaxed and refreshing space and therefore choosing a colour scheme that works for you is important. After deciding on a colour scheme and choosing the quilt cover for the bed, the next step is to create depth and interest. Throws are a great way to introduce texture and continue and complement the colour scheme of the bed. This is one of the primary tricks décor magazines use to create an appealing, luxurious and 'soft' looking bed. If you’re decorating your daughter’s bedroom for example, you’d likely choose a fluffy pink faux fur casually draped at the end of the bed to add warmth and texture. However, if you were decorating a Scandinavian inspired interior, you might choose a woollen throw in a neutral shade with a large weave to add visual appeal and interest. To create more texture think about adding a natural rug underfoot in a complementary colour. Apart from throws and rugs, texture can also be added by choosing a ruffled quilt and the Sandy Golden Quilt Cover from Linen House is a great example of this. A design tip would be to add layers through a combination of a bedspread and a duvet, or a duvet and a throw or all three to create the 'soft sink-in' and plush look we all love in the design magazines! At Manchester Madness, we subscribe to the idea that you can never have enough when talking pillows. In fact, if you want a magazine inspired look, we insist you use at least four pillows and three scatter cushions. If you want a luxe look with added height, start with two Euro shams, layer on four standard pillows and three decorative scatter or throw cushions in accent colours or patterns. The trick to multiple pillows is to keep those you actually sleep on, a different shape or colour from your decorative ones. Pillow covers and decorative scatter cushions are a fantastic way to add style, introduce colour, texture and interest to create an overall cohesive theme in your bedroom! While the choice of pillow shape, colour and texture similarly goes back to the style of your bedroom, we always recommend choosing a pillow with smoothing memory foam or soft bamboo - so your bed is as soft and inviting as it looks. Linen House Sanura White Quilt Cover Set with many pillows! Speaking of making a bed comfortable, the best beds use well chosen linen and fabrics to add style and comfort! For example, if you have a spacious, light room you might prefer the natural, breathable fabric of cotton percale. 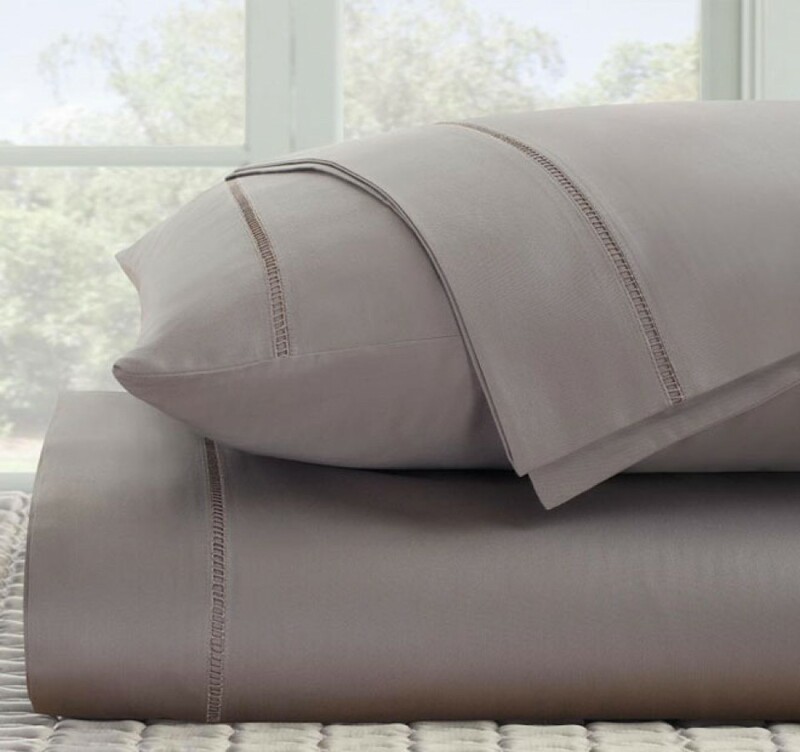 If you like a luxe, slinky, dare we say, romantic feel to your sheets, cotton sateen is a great option. If you prefer a more lived-in look, a crinkled 'freshly laundered' natural linen looks great. Just remember the higher the thread count, the more luxurious-feeling the sheets. However when dressing your bed, take into consideration the weather. In summer, thread counts of 800+ can feel a bit heavy, so it’s a good idea to go for something lighter and in winter the more luxe your sheets, the better you'll sleep! The best sheets will definitely add to the overall style and look of your bedroom. Incorporating these four simple yet clever tips from Manchester Madness in your own bedroom will make it a dreamy, inviting space! Remember to add layers and variation through the different elements on your bed to create a sense of comfort, warmth and luxury to create an envious and stylish bed! Till next time... why not make your bed look like it belongs in the next issue of your favourite design magazine! This post was created in collaboration with Manchester Madness. I only ever endorse or write about products that I absolutely believe in and would have happily promoted regardless. Manchester Madness is a premium bed and bath retailer that has over 20 years of industry experience. Based in Alexandria, Sydney, contact Manchester Madness for any bedding industry questions or needs.